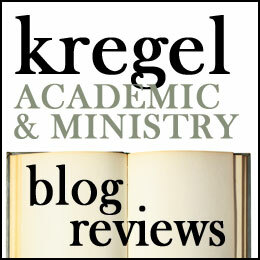 I was particularly excited about reviewing A Commentary on the Psalms, Volume 1 (1-41), part of the Kregel Exegetical Library. The Psalms are the book of the Bible I have spent the most time investigating both academically and personally. 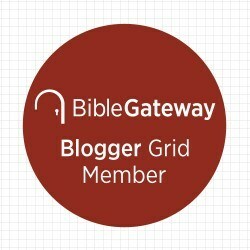 I’ve studied the Psalms to have them shape my prayer life and collect thoughtful commentaries, devotionals, studies and introductions to the Psalms. So Allen Ross’s commentary looked interesting to me and wanted to see what insights he gleaned from his years of study in the psalms. But another reason that makes this book appeal to me is that it is written by Allen P. Ross. In seminary, his Introducing Biblical Hebrew was the text that laid the foundation of what I know of Hebrew grammar and syntax. So in a way I feel like Ross is one of the guys that really opened up the Hebrew scriptures for me in a fresh way and I wanted to see what he did here. This commentary did not disappoint me. Ross represents some of the best critically engaged confessional scholarship today. Bringing his knowledge of Hebrew to bear on the text, he translates, notates the text critical issues and makes judicious judgments on the text. Sensitive to elements of Hebrew poetics, psalm genres and life setting of the psalms he draws on a wide range of scholarship, presenting his commentary on the passage in the form of an expository outline on the text and offers brief comments on each psalm’s message and application. But despite his obvious scholarship, what sets this book apart from other high level critical commentaries, is its readability. Ross is able to craft a commentary which is accessible to the laity and working pastor, but also one that is engaged in scholarly literature and discussion. If you’ve sat down and read commentaries cover to cover, you know that this can be a rare combination. There are other things I liked. The commentary focuses on book 1 of the Psalms which is full of Psalms of David, royal psalms, personal laments, prayers for victory in battle and didactic hymns. Ross does a good job making this relevant to the modern Christian and his expository outlines give me a little bit of the flavor of how a passage might preach (as an occasional preacher, I like this). But before he comments on the individual psalms, he also has several introductory articles on the whole psalms which discuss the value of the psalms, their headings, the history of interpretation, the interpretation of biblical poetry, literary forms and functions, theology of the psalms and his method of exposition. A lot of this is drawn from other literature I have on my shelf, but Ross does such a good job of summarizing other commentators and representing their insights accessibly. This makes it ideal for a student of the psalms. What Ross offers in terms of his exegetical work is a careful, attentive reading of the biblical text. I have other commentators on my shelf whose exegesis is more creative and engaging than Ross is. They challenge me to think about the text in new ways, but I disagree with them more. What I get from Ross is a more consistent and solid interpretation, often favoring a traditional understanding (i.e. he accepts the superscriptions as reliable unless a compelling reason dictates that he shouldn’t and reads carefully not suggestively). That isn’t to say that I agree with Ross on every point (or any other commentator for that matter), but I appreciate his style and attentiveness. This is a helpful addition to the pastor’s or student’s library. I recommend this highly and look forward to the release of the next couple of volumes. Thank you to Kregel Publications for providing me with a copy of this commentary in exchange for this review.